We found battery life on the Z830 was excellent, coming in at about five and a half hours of light to medium use. In all, this is a great Ultrabook. Its unique differentiator is that it feels like a traditional notebook that’s been miraculously slimmed down to almost tablet-thickness. The array of ports and the performance are those of a big computer, not of an ultra-thin. 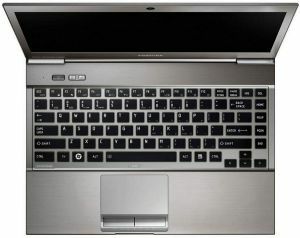 All in all, the Portege Z830 ultrabook offers better battery life than its more expensive i5 siblings. However, putting aside the mediocre display, we strongly advise a hands-on demo before buying – that key drop really is shallow. This isn’t a machine for marathon keyboard sessions. 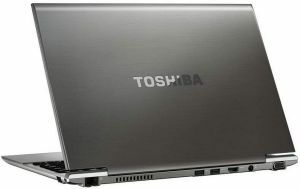 Overall the Toshiba Portégé Z830 impressed me in every aspect of its design and performance. No matter where I went or who I showed it to, everybody wanted one. The price was the only factor that put down a lot of people. 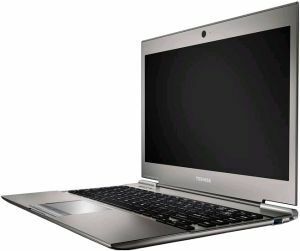 At nearly 4.5k the Toshiba Portégé Z830 is a good AED 850 more expensive than the Acer Aspire S3. That said, it’s still AED 1,150 cheaper than its nearest rival, the unibody and equally slim MacBook Pro 13 which has the same specs inside. So for those who want a true ultrabook experience, the Toshiba Portégé Z830 is a definite buy, despite the slightly high price tag. 92.2%: Indeed, this rating is very goodl There do not exist many notebook models, which are rated better.